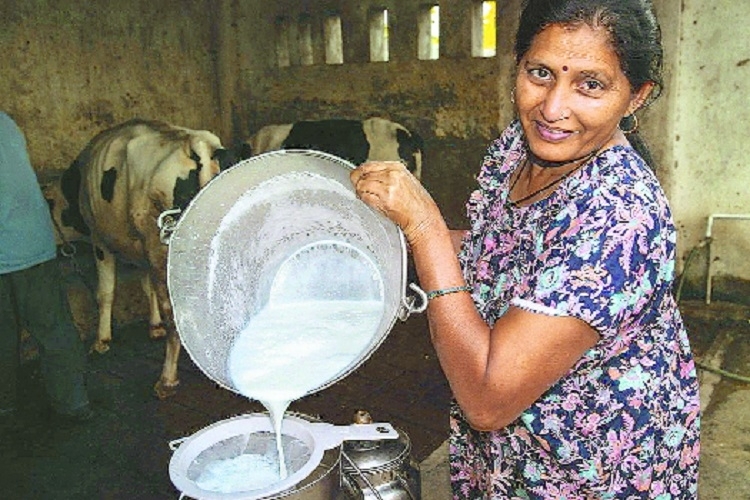 THE domestic milk production is expected to grow slower at 3-4 per cent in the 2019-20, owing to lower investments in cattle and no correction in farm gate prices, according to a report. Crisil expects domestic milk production to grow slower at 3-4 per cent in fiscal 2020, compared with a compound annual growth rate of 6.5 per cent during the previous three fiscals till 2018. That’s largely because of lower investments in cattle amid rising maintenance costs by farmers and no correction in prices at the farm, it added. This constrained returns and led to lower cattle availability, it said. However, consumption is expected to continue to grow at 6-7 per cent annually, which will enable dairies to raise milk prices, Crisil said. “Higher milk realisations and better profitability in 2019-20, will also bolster cash flows. Besides, falling skimmed milk powder (SMP) inventories will also ease working capital requirements, lower balance sheet pressure, and support credit profiles of dairy firms,” Crisil Ratings Associate Director Poonam Upadhyay said. Meanwhile, the report said, a sharp reduction in SMP inventories and a slowdown in milk supply, which would lead to a Rs 1-2 per litre increase in the domestic prices of milk over the next few quarters, is expected to improve the dairy sector’s operating profitability by 30-40 basis points in the next financial year. The dairy sector had a muted outing over the past two years due to flattish milk prices since June 2017, which was when the last price increase of Rs 1 per litre happened. Nevertheless, farm gate prices remained firm during this period, the report added. Besides, the sector has been facing pressure because of weak global SMP prices and higher milk production in India, which has led to accumulation of inventories.